a public portfolio display or performance. Where the senior project does not consist primarily of a written document, departments, may, where they deem appropriate, require some written documentation (length to be determined by the department) to accompany the senior project. The precise nature or form of a senior project is to be determined by the department or program of the student's major. The senior project is normally related to the student's field of study, future employment, and/or scholastics goals, and is carried out under direct faculty supervision. Reduce a topic to specific points of analysis. Organize the points of analysis into a logical sequence. Apply acquired competencies to the successful completion of a project. Obtain, evaluate, synthesize, and apply project-related information. Develop and follow a project plan. Estimate hours of labor and/or cost of materials necessary to complete a project. Organize, illustrate, and write clear and concise project documentation. The total number of senior project units must be at least 1 unit and no more than 6 units. The senior project requirement will be the same for all students in a given curriculum, but not for all students in the university, because of the nature of the various curricula. Normally 30 hours of student work will be required for each unit of credit granted. Projects requiring an excessive amount of time are discouraged. The number of students participating in a group senior project should not be so large as to unduly limit individual experience or responsibility and initiative. The student is responsible for identifying costs and potential funding sources for his or her senior project prior to initiation of the project. Costly projects are discouraged. It is the student's responsibility to become informed about the university's intellectual properties policy and human subject policy (where applicable). Each academic department determines whether or not to archive senior projects in the Kennedy Library. For the academic departments that require archiving of senior projects, they must make available to their students in writing all policies and procedures relevant to archiving senior projects. 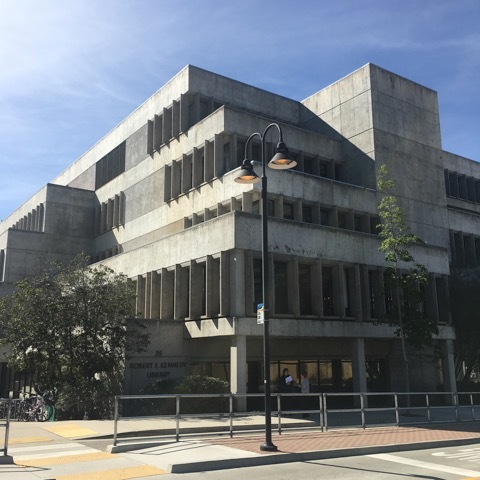 The policies and procedures shall conform to current Kennedy Library archiving requirements and University policies pursuant to the Family Educational Rights and Privacy Act (FERPA) and Intellectual Property Rights. Senior projects submitted to Kennedy Library become part of the Library's collection.